Eurostat: Ratio of investment to GDP highest in the Czech Republic | M.Skorepa, Ceska sporitelna: "We are probably observing a natural fall in the tempo of catching up, in terms of the stock of capital, to richer economies." Among the EU Member States, in 2017 investment accounted for a quarter of GDP in the Czech Republic (25.2%) and Sweden (24.9%). 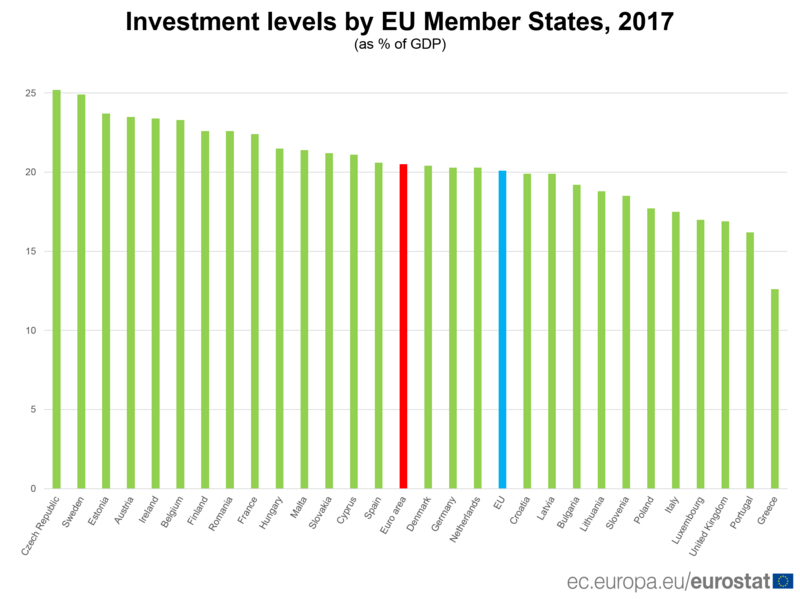 Estonia (23.7%), Austria (23.5%), Ireland (23.4%), Belgium (23.3%), Romania and Finland (both 22.6%) as well as France (22.4%) all had investment rates of over 20% of GDP, according to Eurostat. The newest issue of Modern Economic Diplomacy, a newsletter published by the Czech Ministry of Foreign Affairs, includes an interview with Jim Schellinger, the Secretary of Commerce for the state of Indiana. Germany is criticized for its high current account surpluses: the export successes of the German economy were at the expense of the other EU states. Our study shows that this criticism is completely unjustified. On the contrary, a strong German economy creates added value and employment in Europe.